Does life mean you to do a somersault? 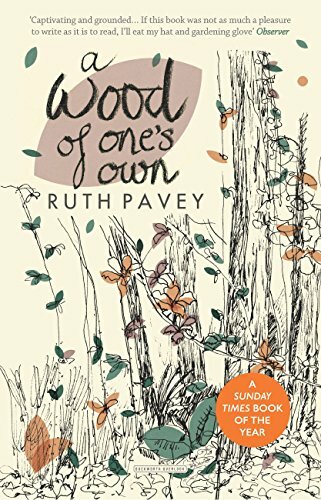 “Sometimes you have to check,” writes Ruth Pavey in her book, A Wood of One’s Own, “just in case life means you to do a somersault.” Join us at WoodWords 2018 to hear about her own modest upheaval – buying a piece of land at auction on the Somerset Levels with a view to creating a new woodland. Ruth Pavey is one of five top environmental authors talking about their books at our unique WoodWords 2018 event. Ruth Pavey is a gardening journalist and writer based in London. After years spent living amid its urban thrum, Ruth yearned to reconnect with the British countryside and she endeavoured to realise her long-held dream of planting a wood. Touring to the West Country in the late 1990s, she found herself in the Somerset Levels. On seeing this expanse of reclaimed land under its wide, soft skies she was struck by its beauty and set-out to plant a wood, tree by tree. She bought four acres, and over the years transformed them into a haven where woodland plants and creatures could flourish an emblem of enduring life in a changeable world. A Wood of One’s Own (Duckworth) is the story of how Ruth grew to understand and then shape this derelict land into an enduring legacy a verdant landscape rich with wildlife. ‘A gem of a book, an extraordinary tale. Ansell’s rich prose will transport you to a real life Narnian world that C.S.Lewis would have envied. Find your deepest, most comfortable armchair and get away from it all’. Neil Ansell is one of five top environmental authors talking about their books at our unique WoodWords 2018 event. Neil Ansell is a writer and award-winning television journalist. 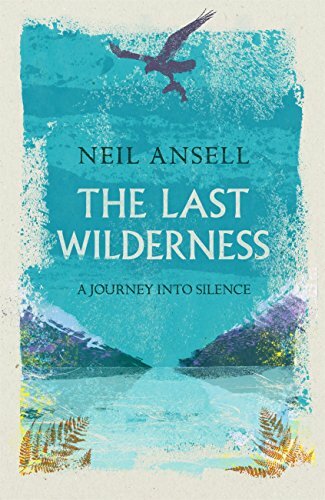 The Last Wilderness: a journey into silence (Tinder Press) explores the experience of being in nature in the context of a series of walks that Neil takes into the most remote parts of Britain. He illustrates the impact of being alone as part of nature, rather than outside it. In the book, Neil explores the coastal oakwoods, northern birchwoods and relic pinewoods of Scotland, and as he walks he reflects on his past, including years spent as a forestry worker in Wales and Sweden. As a counterpoint, Neil also writes of the changes in the landscape, and how his hearing loss affects his relationship with nature as the calls of the birds he knows so well become silent to him. 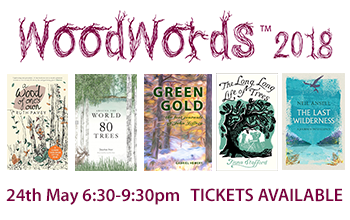 WoodWords 2018 brings together five authors who share a passion for trees and the environment, and a common fascination in our relationships with nature. At this, our second WoodWords literary evening, they will tell the stories behind their latest books – splinters and all. 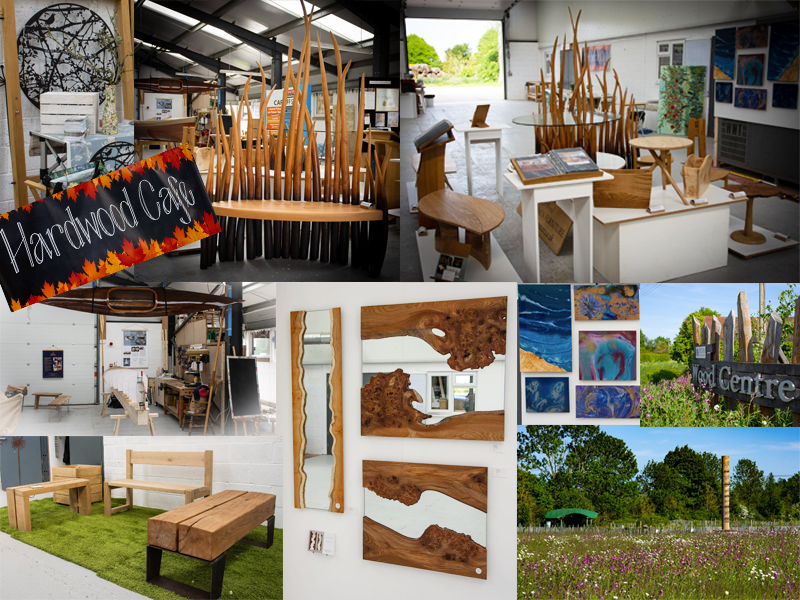 This unique event takes place in the Sylva Wood Centre – an exciting hive of creativity in wood that brings fine furniture and industrial woodworking together, set amongst a new community woodland and orchard. Dress down, enjoy drinks amongst the sawdust and wood chips at The Wood Bar, admire the incredible creativity of our resident designer-makers and, of course, meet the authors and buy signed copies of their books. Jonathan Drori, a former documentary film maker and executive producer at the BBC, has been a Trustee of the Royal Botanic Gardens, Kew and the Woodland Trust. He is on the board of the Eden Project and is an Ambassador for the WWF. 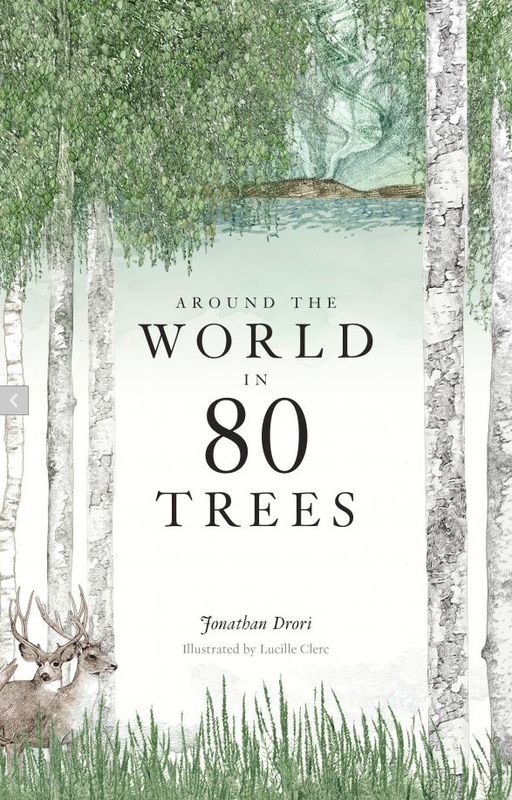 Around the World in 80 Trees (Laurence King) celebrates trees as one of humanity’s most constant and most varied companions. They offer us sanctuary and inspiration and of course the raw materials for our lives. Jon uses plant science to illuminate how trees play a role in every part of human endeavour, from the romantic to the regrettable. Fiona Stafford is a professor of English language and literature at the University of Oxford. In 2014 she wrote the text for the Charter of Trees, Woods, and People. 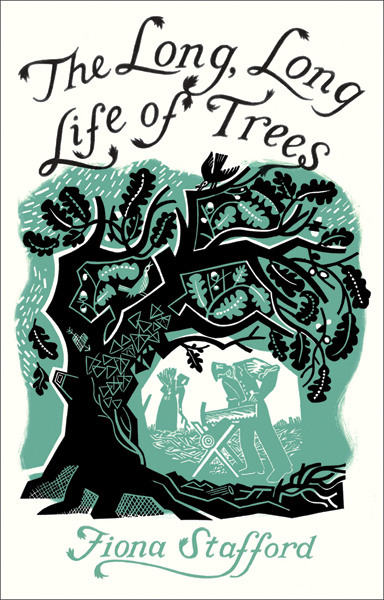 Fiona’s book The Long, Long Life of Trees (Yale University Press) is a lyrical tribute to the diversity of trees, their physical beauty, their special characteristics and uses, and their ever-evolving meanings. Each of its 17 chapters is dedicated to a common British tree, drawing on folklore, natural science, literature, cultural history, European art, ancient mythology and modern medicine to illuminate each trees’ central place in western civilisation. The book was formerly Sunday Times Nature Book of the Year. Gabriel Hemery is co-founder and Chief Executive of the Sylva Foundation. His first book The New Sylva (Bloomsbury) was published to wide acclaim in 2014. 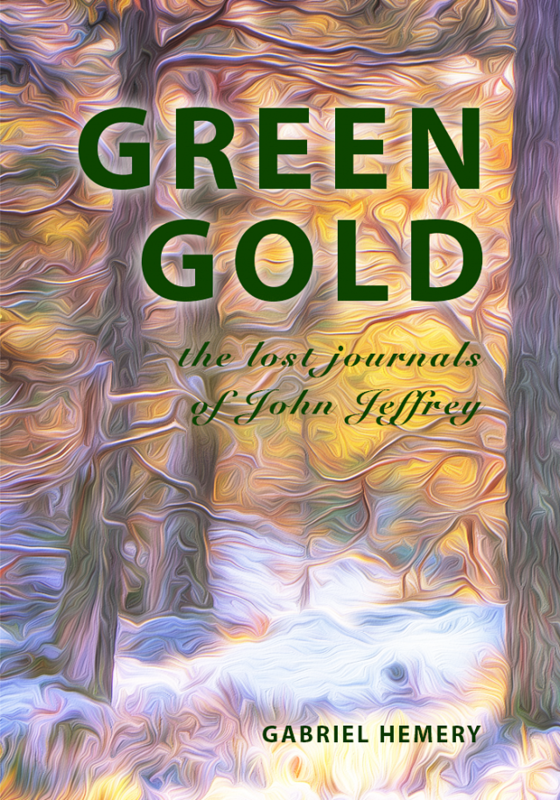 His latest book Green Gold (Unbound Publishing) is a fictional biographical novel based on a true story. In 1850, young Scottish tree-hunter John Jeffrey is despatched by an elite group of Victorian subscribers to seek highly-prized exotic tree species in North America. Three years after setting out, after traversing British Columbia, Oregon and California, John Jeffrey disappears without a trace. Was he lost to love, violence or the Gold Rush? The discovery of his missing journals finally reveals the truth behind an extraordinary adventure.